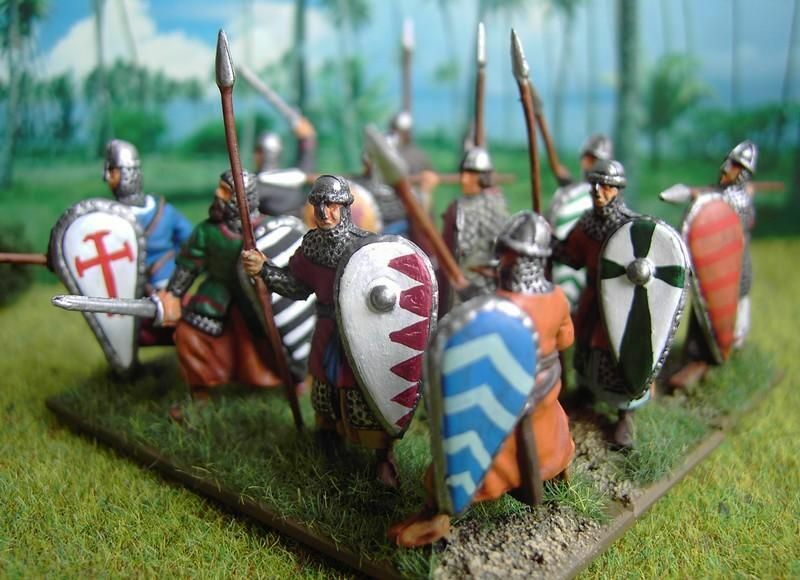 Here are the pics of the El Cid Spanish heavy infantry test-shots. Wonderful figures! 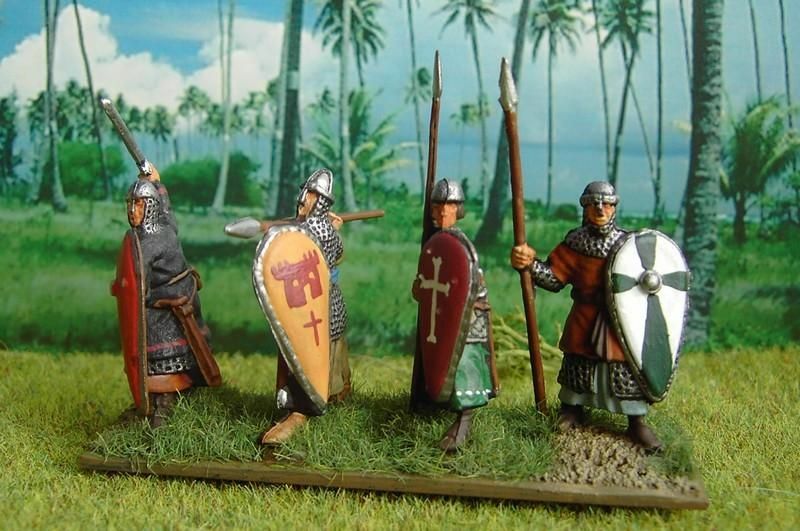 I especially like the fact that the spearmen are quite bulky. 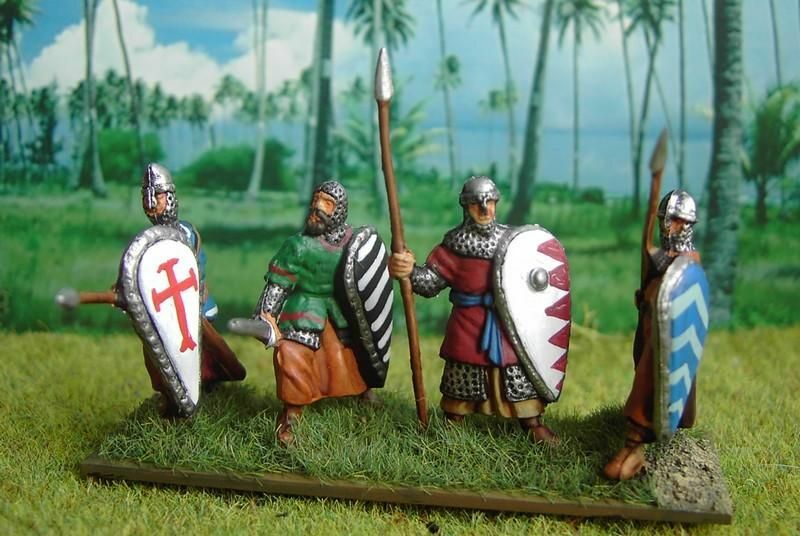 Everyone who ever wore full chainmail, including some propper Gambeson underneath it will know what I mean. 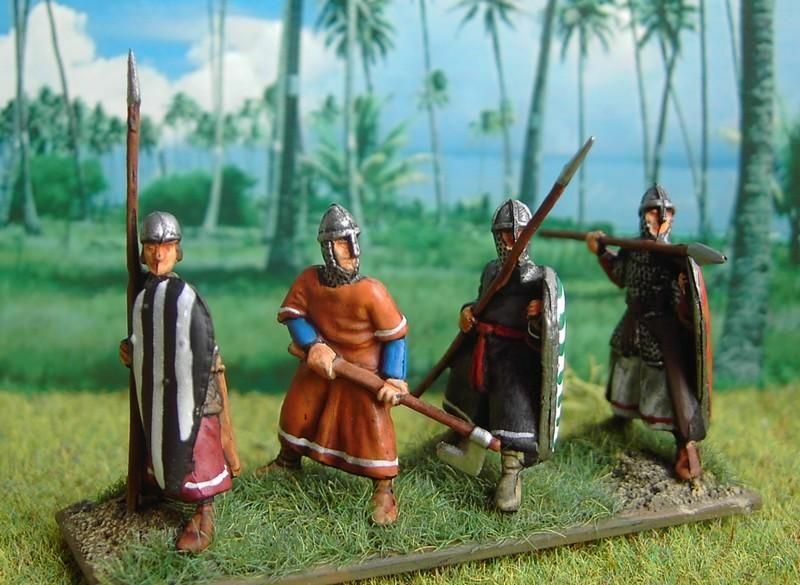 I based and painted the figures for wargaming, especially DBA. One box gives all the infantry needed for a DBA III 35 a-c army!